Anthem of The Seas - Open For Sale! Cruise News Royal Caribbean Anthem of The Seas - Open For Sale! 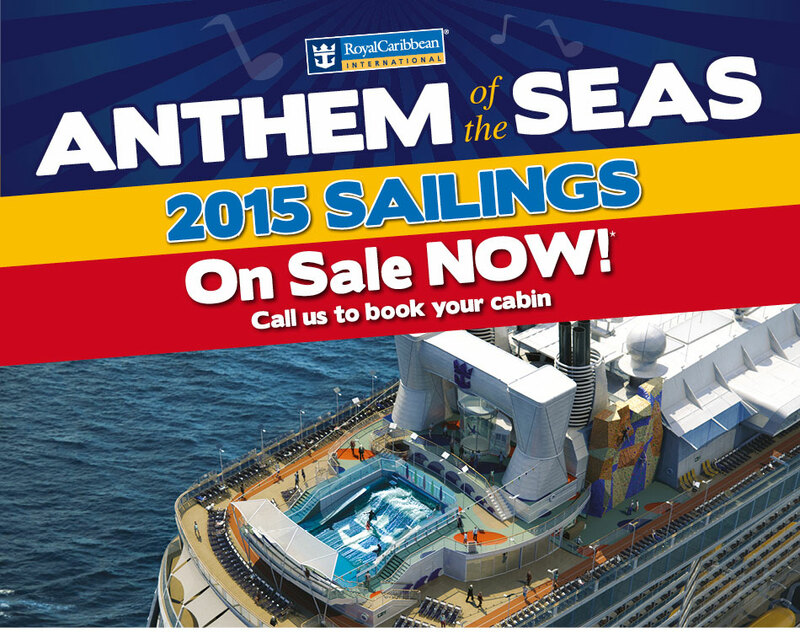 Anthem of The Seas – Open For Sale! Royal Caribbean’s newest ship, Anthem of the Seas, which is due to be launched in May 2015, went on sale yesterday to the British public. Early indications are that she is a hit with us Brits, as agents needed fastest finger first to book their clients on her maiden cruises. With a variety of options from 3 nights to 16 nights, and prices from £399 per person to £1599 per person, there really is something for everyone. Her first sailing from her homeport of Southampton will be on 22nd April for an 8 night voyage taking in the delights of France and Spain. Direct competition will come in the form of P & O’s newest ship, Britannia, when she launches to her past passengers on 26th March 2014. Prepare for battle of the giants! !